Every year I like to have a differently decorated Christmas tree. 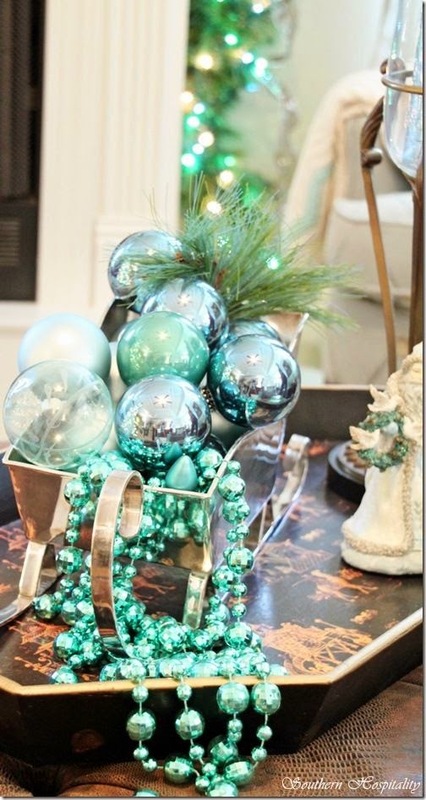 So I do lots of looking around on the net for colours and themes that take my fancy a few months before. 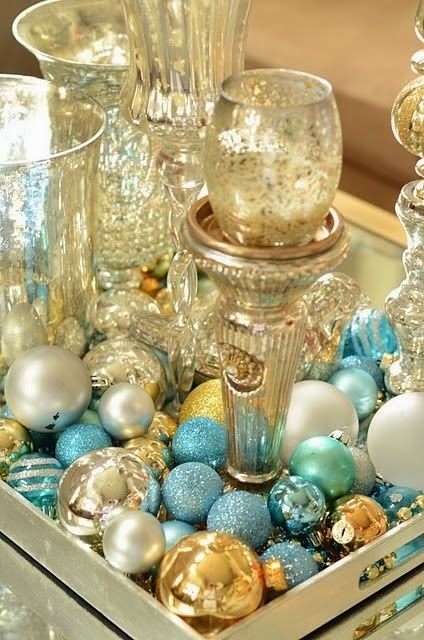 This year, I am drawn to an aqua and gold colour scheme. Here are some of the pictures that have inspired me. What colour will you be having this year? 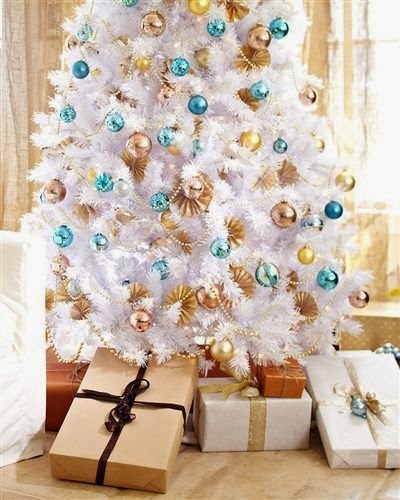 Very pretty colors and I am sure your tree will look stunning. I used to that but, it got that I spent so much money purchasing new Christmas decorations. Then keeping and storing all that - it got to be to much. So I just stay with my traditional red, since I have a wonderful red sectional couch in the living room and everything looks so good. i used to have a smaller tree in each room, but I stopped that last year, as it got to be to much work and I wasn't enjoying the holidays. 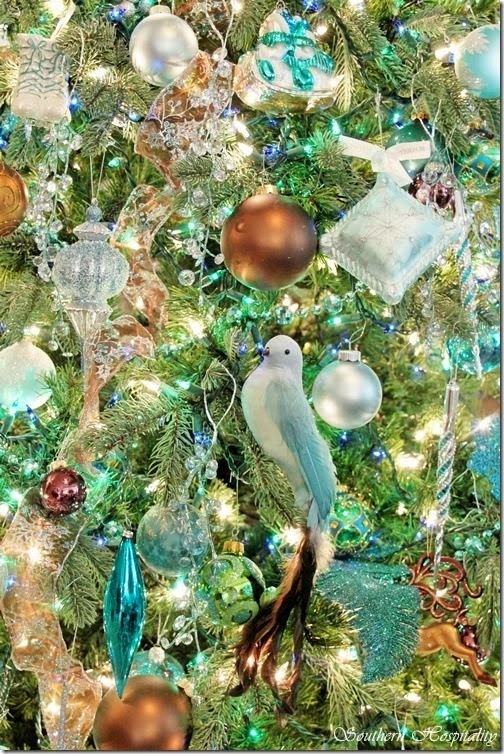 Good luck on your new tree, I am sure it will be very pretty.